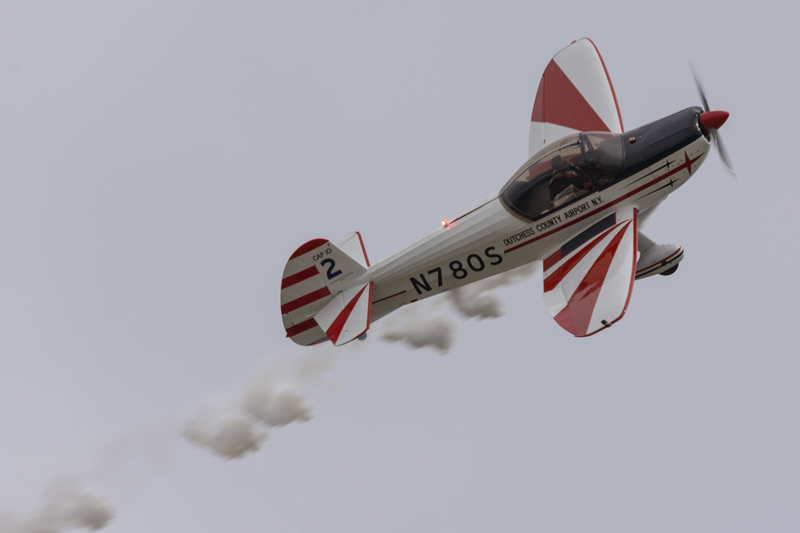 The 2016 installment of the Rhode Island National Guard Open House and Airshow was a bittersweet and unique weekend of aerial entertainment that overcame numerous challenges from Mother Nature and the performance schedule during a difficult time for the airshow industry. 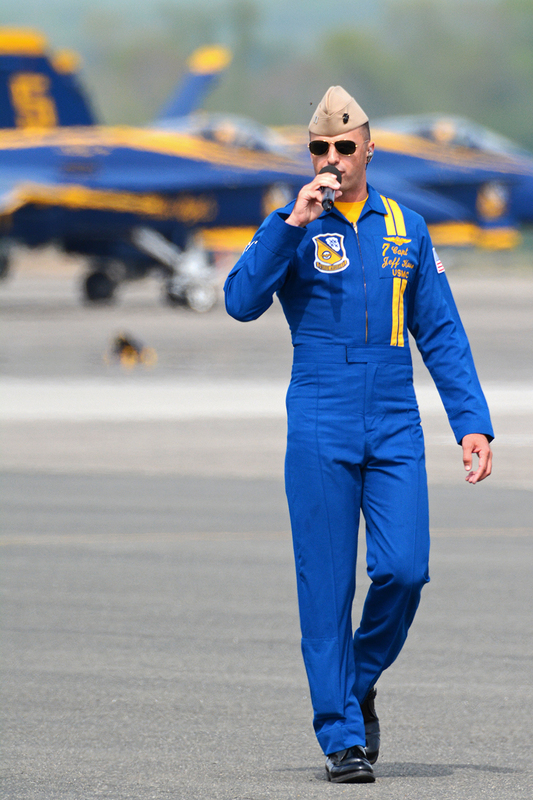 Capt Jeff “Kooch” Kuss narrating the Blue Angels performance at the 2015 Westover Airshow. Many of the performances this weekend at Quonset Point were dedicated in Kooch’s memory. June 2, 2016 was a dark day for the American military demonstration teams. 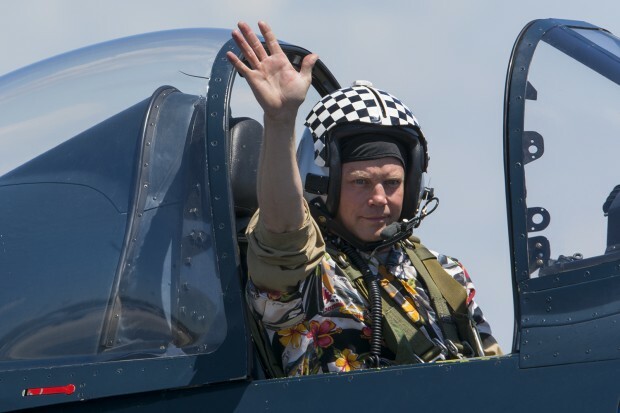 Maj. Alex “Tuna” Turner in Thunderbird 6 was able to safely eject after losing power following a demonstration in Colorado. Just an hour later, Blue Angel 6 USMC Capt. Jeff “Kooch” Kuss was lost in Smyrna, Tennesee while ensuring his stricken F/A-18 came down in an empty field away from people on the ground. 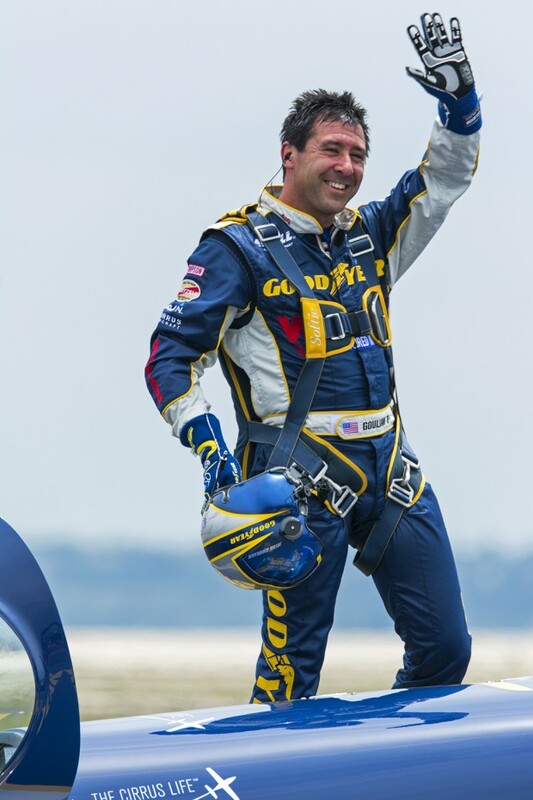 The loss of “Kooch” hit the airshow community hard and it’s clear he was on everyone’s mind this weekend. Nearly every performer had a special tribute to Capt. 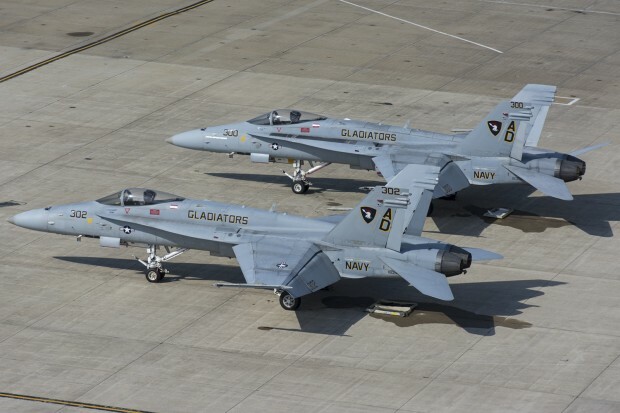 Kuss, including a missing man formation by four of the pilots each day, Blue Angel 6’s displayed on their aircraft, and special dedication/tribute passes. The TACDEMO team performed an extra dedication pass sans-afterburner at the beginning of each show as a narration was read, and Rob Holland drew a 6 in the sky with smoke during his solo performance. While “Kooch” was on everyone’s minds, all the performers put their best foot (and stick) forward and flew on in his honor. The performers and organizers stepped up in spectacular fashion to fill the void left by the Thunderbirds’ cancellation with unique performances, formations, and even going up multiple times per day to fill the time. This year’s show was kicked off with the national anthem and a flag jump by the US SOCOM parachute team out the back of a Rhode Island National Guard C-130J. During the flag’s descent under canopy, US aerobatic champions Rob Holland and Mike Goulian circled the jumpers. Rob and Mike then formed up with the P-51 Never Miss flown by Mike Murphy, and the Jack Links Extra 300L for a missing man formation dedicated to all who have given their lives in defense of this country. After the Extra and Mustang recovered it was time for the performances in the show box to begin. Mike Goulian and Rob Holland put on an impressive tandem demo featuring a few formation passes prior to what can best be described as an aerial game of HORSE between two titans of the aerobatic world. Mike and Rob traded off passes through the show box, with each demonstrating signature maneuvers and sequences back to back, providing a unique treat that helped fill the time and energy void left by the Thunderbirds cancellation. 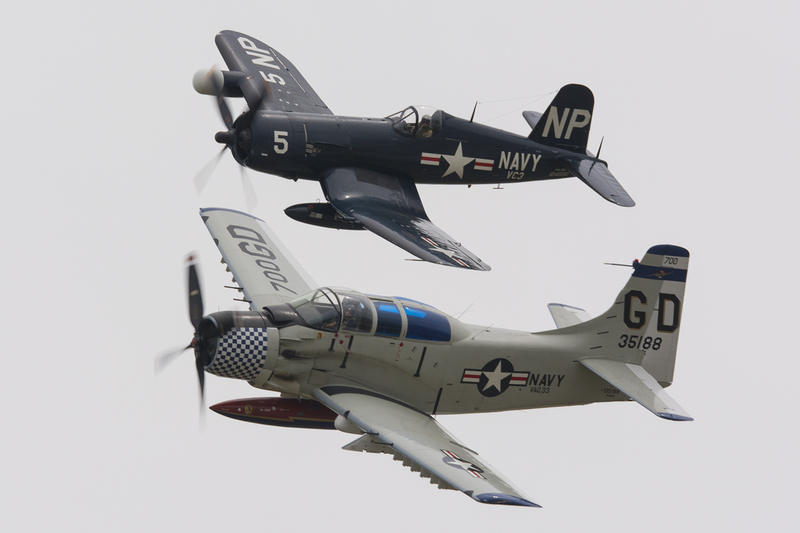 F4U Corsair and A1E Skyraider were part of the collection of warbirds present this year. 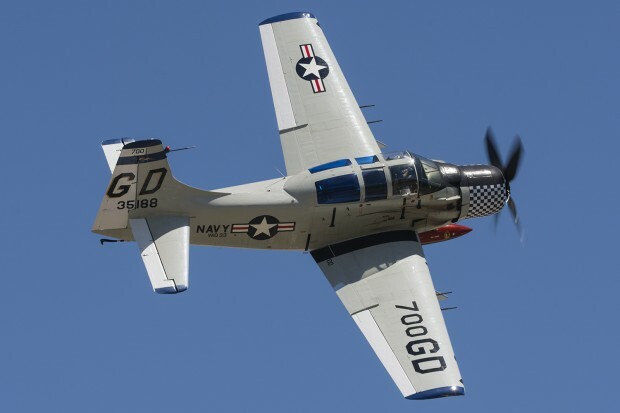 Quonset Point had its fair share of warbirds this year, with Greg Colyer’s T-33 “Ace Maker II”, the Murphy Family P-51 “Never Miss”, the Collings Foundation’s A-1E Skyraider and F-4U Corsair, and the C-47 from the American Airpower museum. 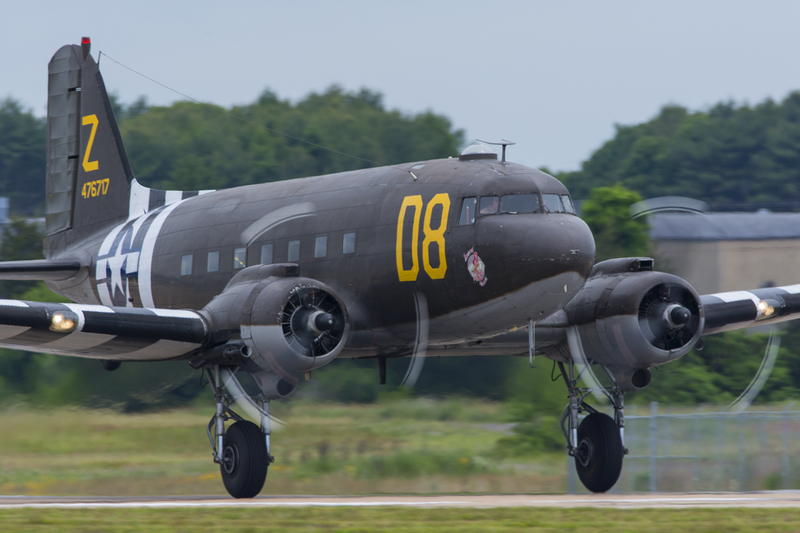 Each and every warbird pilot did an incredible job of keeping the aircraft in front of the crowd, providing numerous opportunities for the photographers with some incredible photo passes. 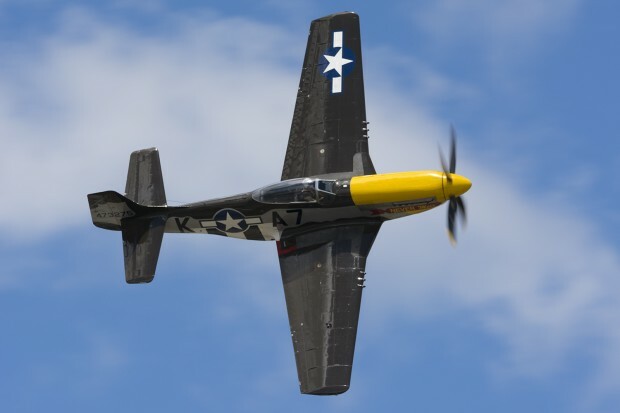 Greg “Wired” Colyer and Mark Murphy flew full flight demonstrations of their aircraft both days, providing a nostalgic display of historical airpower from two of the most historically significant aircraft in the history of the US Air Force/Army Air Corps. 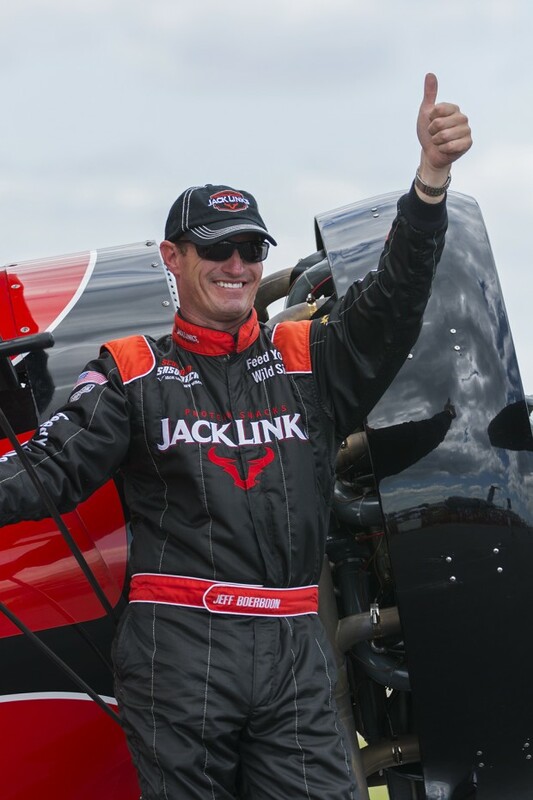 In addition to his flight demonstration in the Mustang, Mark also flew the Collings F-4U in formation with the A-1E in a display of piston powered airpower spanning the gap from WWII to Vietnam. 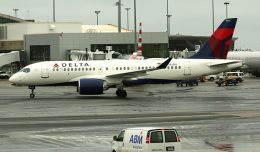 Saturday’s flying program was shortened by rain, with a large line of heavy showers that had all the makings of a late afternoon thunderstorm. Thankfully the static electricity stayed skybound, with only rain falling at the tail end of the performances. Sunday’s skies were clear as can be, with a light broken layer of cumulus clouds providing outstanding backgrounds for photos. 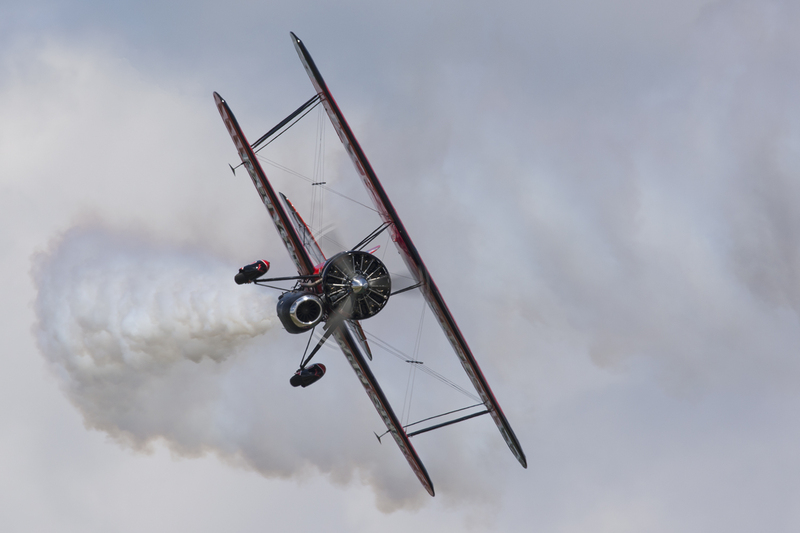 While things looked great from the ground, gusty winds made things very difficult for the aviators. In the words of Mark Murphy, the 30+ knot gusts made holding formation in the Corsair “a bit more work than yesterday”. 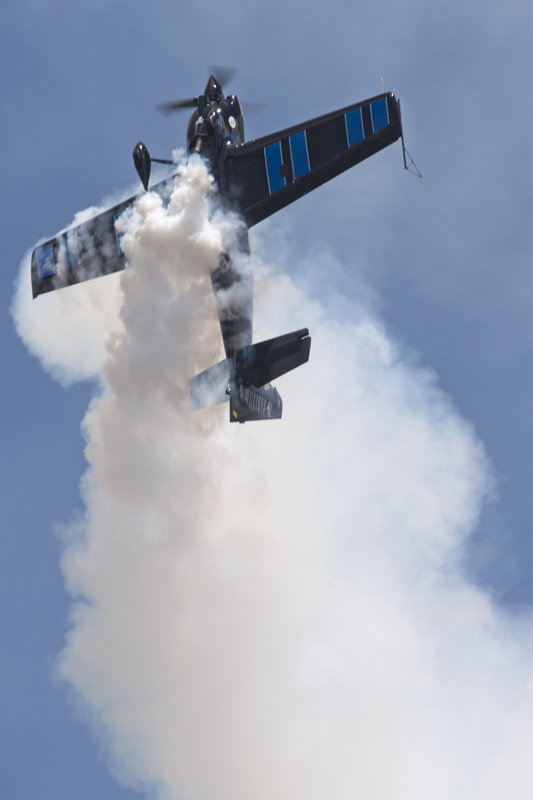 The effects of the winds were evident with Mike Goulian and Rob Holland’s performances as well, with their knife edge tumbles in particular showing them being blown like kites around the show box. The taildragger pilots all did an incredible job getting their birds down in once piece, as the rudder pedal dance to keep the pointy end forward was more difficult than usual due to the high winds. 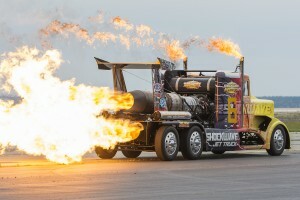 The Jack Links Jet Waco and the Shockwave jet truck provided the noise during the earlier parts of the show, with the Waco’s signature blend of radial power turbine thrust filling the show box with smoke, noise, and a tumbling red biplane that just should not be able to climb like that. The crowd favorite Shockwave truck amped up those lining the fence with smoke, flames, and noise prior to challenging the Waco to a race down the runway. Once driver Chris Darnell let go of the brakes, over 36,000 horsepower was put to great use, with the massive truck cruising down the field at speeds well in excess of 250 MPH, finishing his run in style in front of a wall of fire provided by Tora, Tora, Tora. 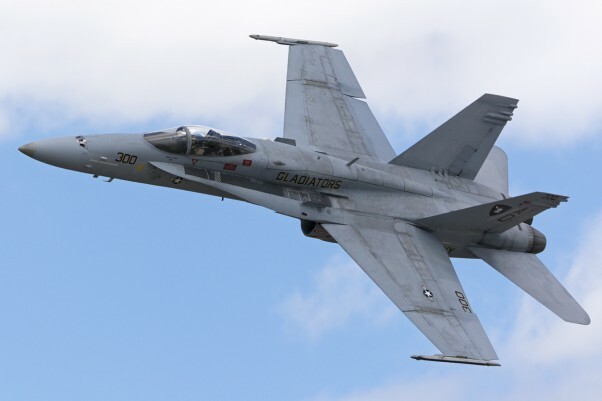 In absence of the Thunderbirds, this year’s headlining act ended up being the US Navy TACDEMO team, in this instance the Legacy F/A-18C Hornet from VFA-106. 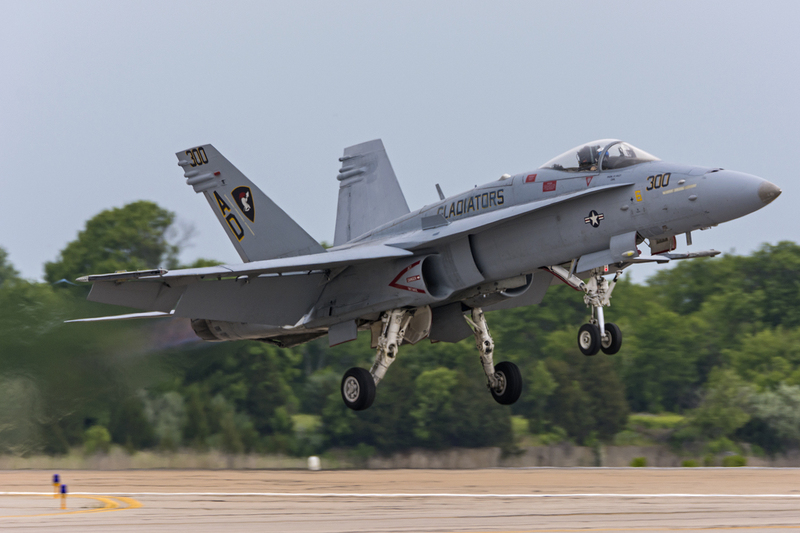 LT Scott “MacGruber” Lindahl brought the speed and noise to Rhode Island, putting the Hornet through its paces throughout the 12 minute demonstration that showed off the speed, agility, and handling characteristics of the Navy and Marine Corps’ current front line fighter. After being rained out on Saturday, the Rhode Island National Guard was able to perform their Combined Arms demonstration at the conclusion of Sunday’s airshow. 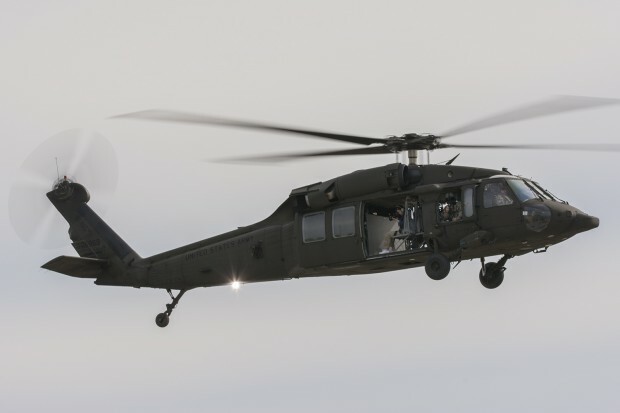 Showcasing the Quonset Point based C-130Js and UH-60s, the guard was able to show the public the sorts of missions they train to perform each and every day. 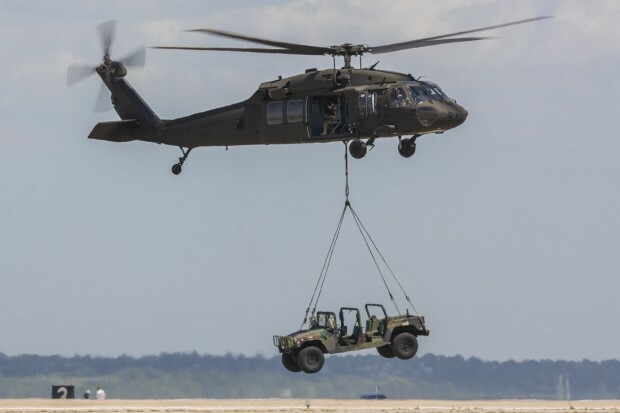 The demonstration was began with an aerial delivery of troops and vehicles by the Blackhawks, followed by a live air drop of two supply crates from a C-130. With the “target area” secured, a second C-130 performed a short tactical landing, and offloaded an additional vehicle to help keep the objective secure. 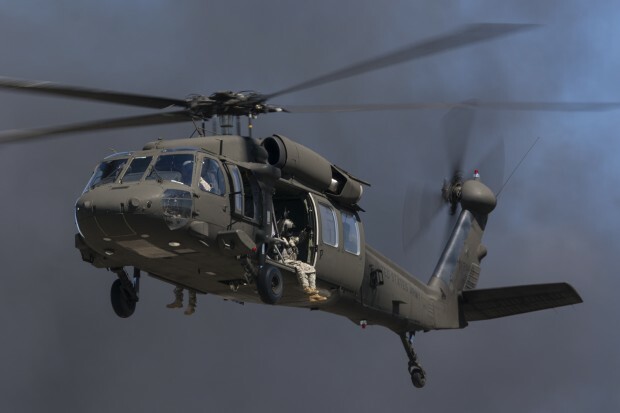 Following the evacuation of the “wounded” by a dustoff UH-60, the scenario was terminated, with the helicopters, Herks, and ground troops parading in front of the crowd to close out an outstanding weekend. 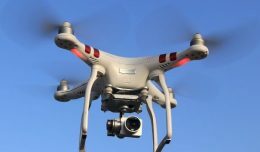 The organizers of the show were expecting a huge crowd with the Thunderbirds headlining and a strong line up of other performers, and wanted to utilize some of the local infrastructure to minimize traffic. This year’s Quonset Point show marked the debut of the Trains to Planes program, where visitors could board a complimentary train in Providence or at the T.F. 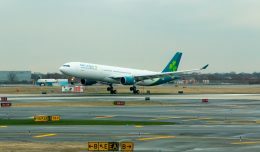 Green Airport and be shuttled to the airshow. With the Thunderbirds unfortunate cancellation and Saturday’s rain, the crowd seemed smaller than prior years, so it’s unclear how much impact the trains could or would have. 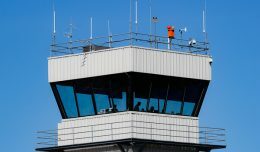 Knowing how bad airshow traffic can be, it’s encouraging seeing the organizers try something novel to in an effort to ease the congestion. I’m interested to see how it will work out in a year with a jet team. 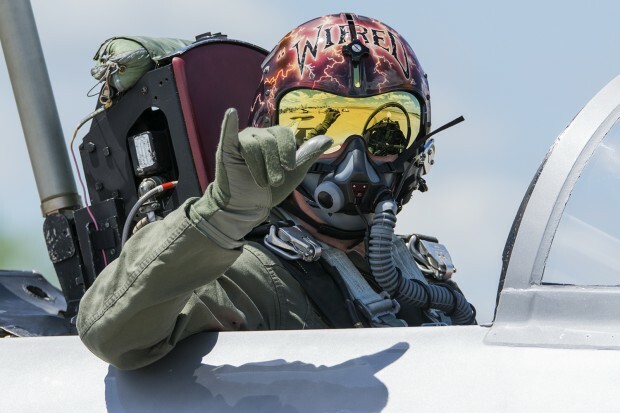 Despite the Thunderbirds’ conspicuous absence, the entire airshow team came together to put on an outstanding event that was most importantly safe. 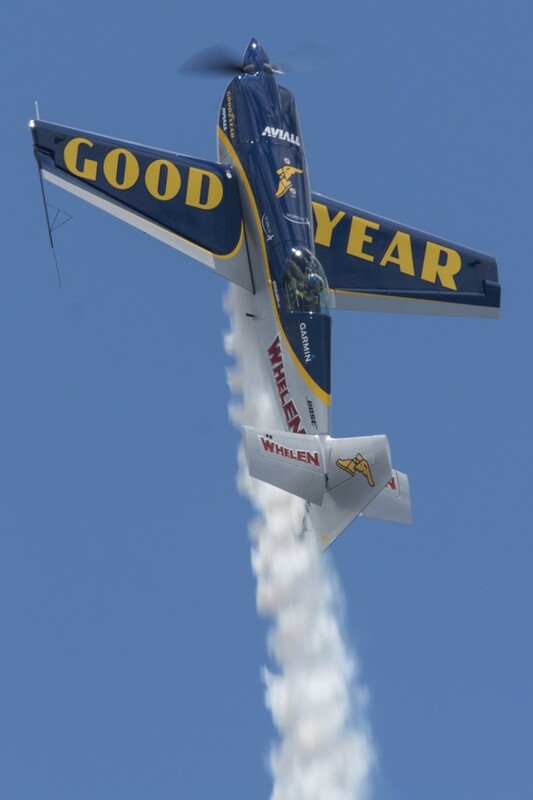 With so many challenges thrown their way, the show organizers and pilots stepped up to put on a first class event. 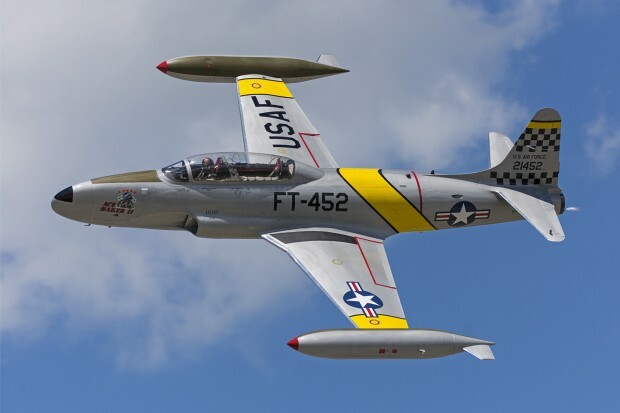 Greg “Wired” Colyer taxis out in the T-33 “Ace Maker II”. 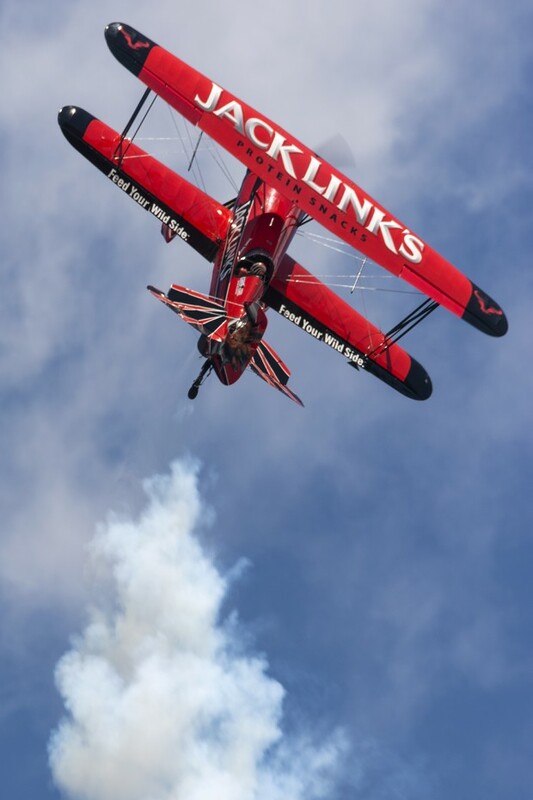 Jeff Boerboon climbs away from show center in the Jack Links Jet Waco “Screamin Sasquatch”. The “Screamin Sasquatch” repositions for another pass. 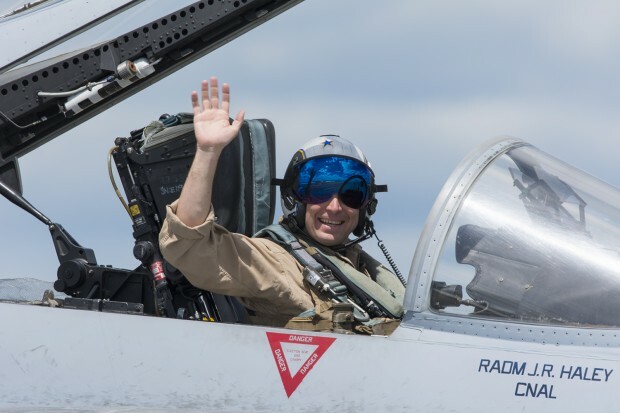 Lt. Scott “MacGruber” Lindahl taxis out for the U.S. Navy Hornet TACDEMO. A UH-60 of the Rhode Island Army National Guard flying down the show line. 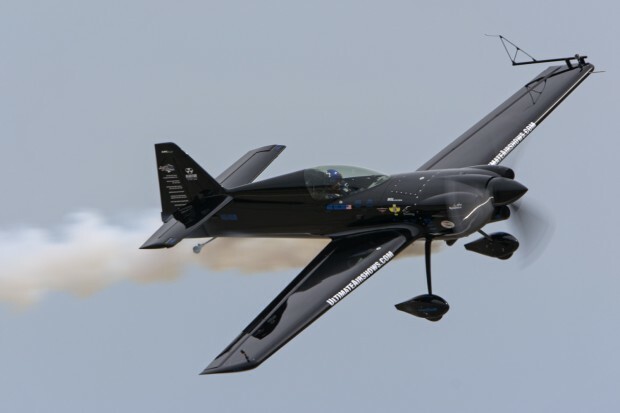 Rob Holland flies his MXS-RH during a teaser show. The American Airpower Museum C-47 on takeoff. A newly restored CAP-10 flying at Quonset Point. 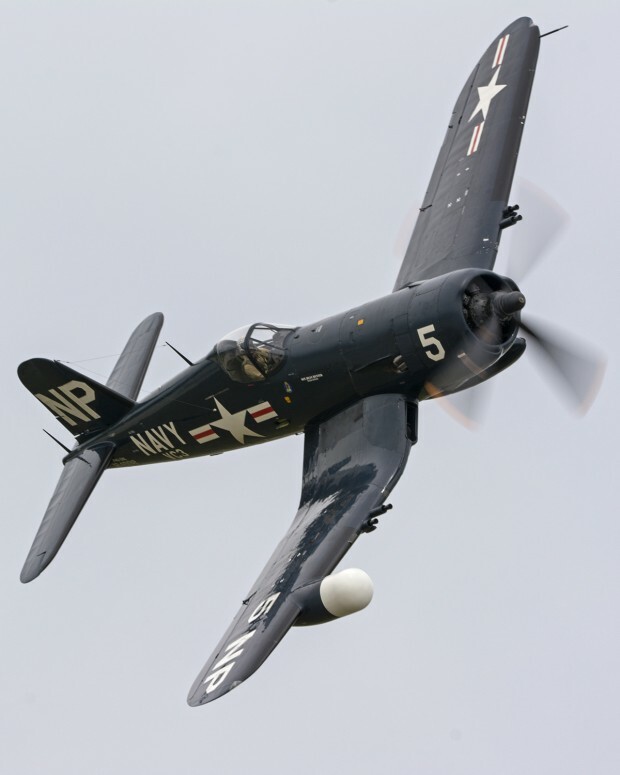 Mark Murphy demonstrating the Collings Foundation F-4U Corsair. Mike Goulian waves to the crowd following his solo performance. 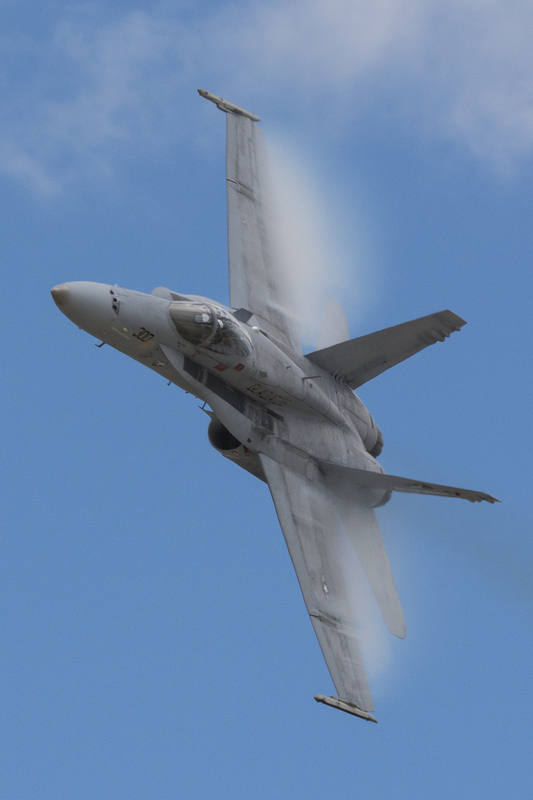 “MacGruber” performing a touch and go in the Hornet. 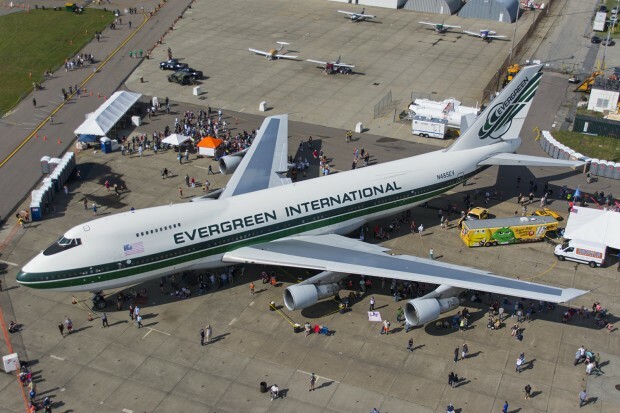 A retired Evergreen International 747 on static display. An aerial view of the TACDEMO Hornets on the ramp. The Collings Foundation Skyraider making a photo pass. Mark Murphy channeling his inner Hawaiian while taxing out in the F-4U. Mike Goulian on a vertical line at show left. A Rhode Island Army Wolfpack UH-60 dropping a Humvee off for the Combined Arms Demonstration. Rob Holland hovering the MXS-RH. MacGruber staying low after takeoff. 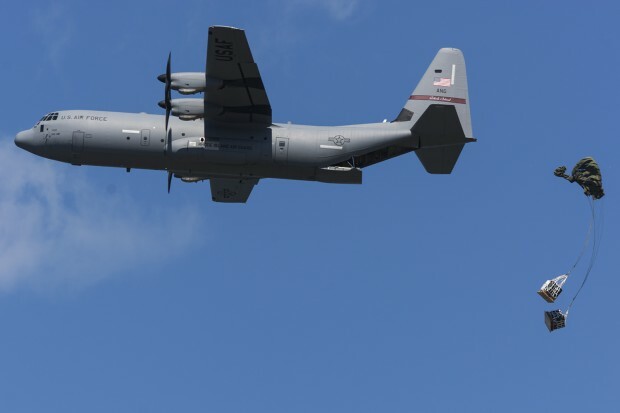 A Rhode Island Air Guard C-130J performing an air drop during the Combined Arms Demonstration. With pyro smoke in the background, one of the Wolfpack Blackhawks flying one final pass in the Combined Arms Demonstration. The author owes many groups a big thank you for their help with covering this airshow. 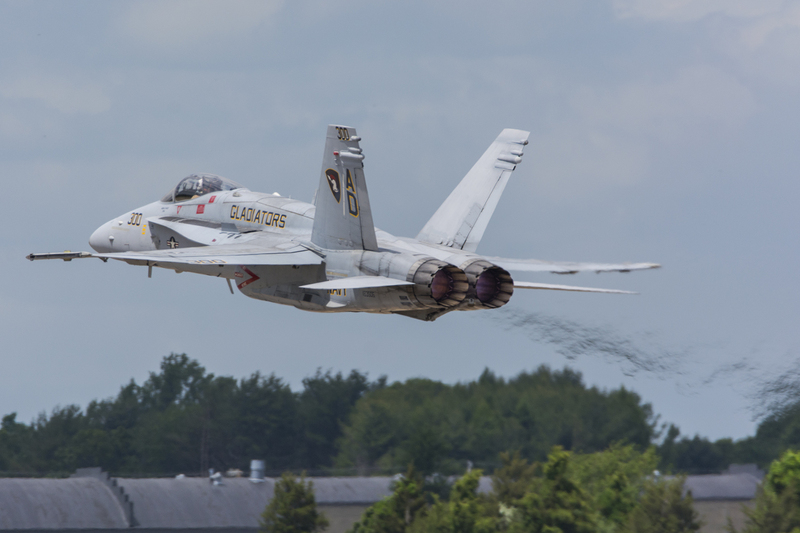 In addition to the NYCAviation team, the Rhode Island Airshow public affairs team, and VFA-106 Legacy Hornet TACDEMO team deserve a huge thank you for their assistance. 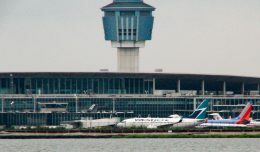 So much work goes on behind the scenes to allow aviation photographers like me to cover these shows that goes unnoticed. I must also express appreciation to the Rhode Island Wolfpack for once again providing a safe and incredible flight experience. Another big thank you must go out to Mr. Scott Zeno, who loaned me a spare body on Sunday after my shutter failed!